panel discussion on local ecosystem. The series is incorporated as a knowledge component of the outreach activity for FinPitch18. 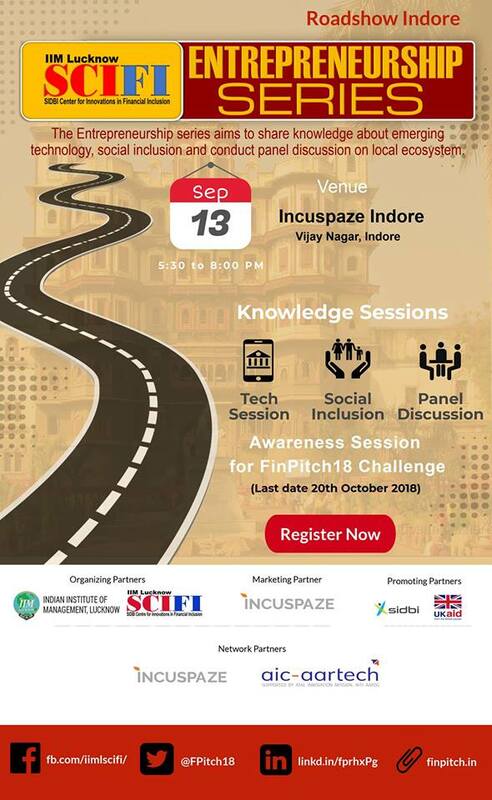 IIML SCIFI has launched its Annual Pitching Event, FinPitch18 on September 1, 2018 to run at National level.The objective of FinPitch is to building support system towards the startups in the area of Financial Inclusion and Fintech. IIML SCIFI will reach out to the startups in the mentioned sector and extend exclusive support system to the selected startups.